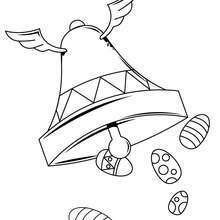 Where is the Easter Bunny? 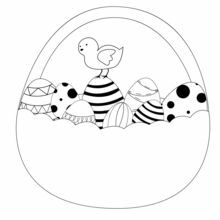 It looks as if he got caught up in one of his own eggs. 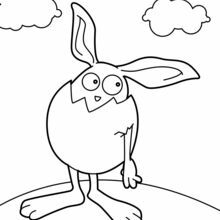 Try coloring this Easter Bunny Hides in an Egg coloring page for a fun decoration for your room. 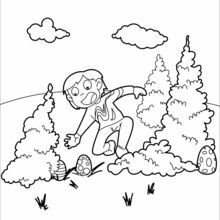 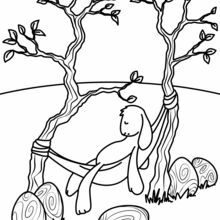 We have lots of nice printables in EASTER coloring pages to make you happy. 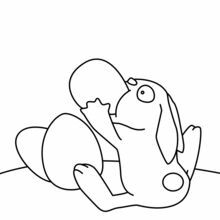 Print this Easter Bunny Hides in an Egg coloring page out to decorate at home or color in online with our new coloring machine. 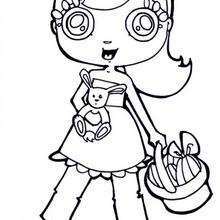 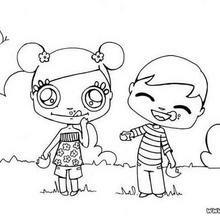 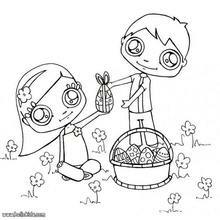 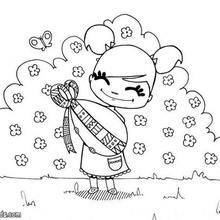 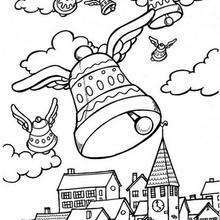 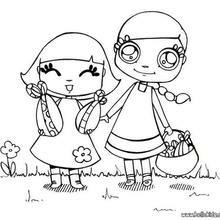 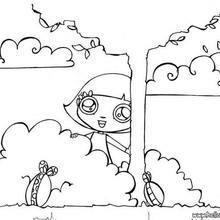 You can create a nice variety of springtime coloring sheets on Hellokids.com.